Anyone who has been to Gettysburg, Pennsylvania will tell you that the sunsets here are sensational. They beautifully signify the end to a wonderful day of exploration and learning for visitors and locals alike. The biggest question then is, where to spend your evenings catching sight of this wonder while in our historic town? 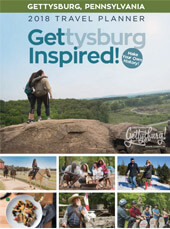 Not to worry – we have ten great spots for you to add to your list next time you are in Gettysburg.